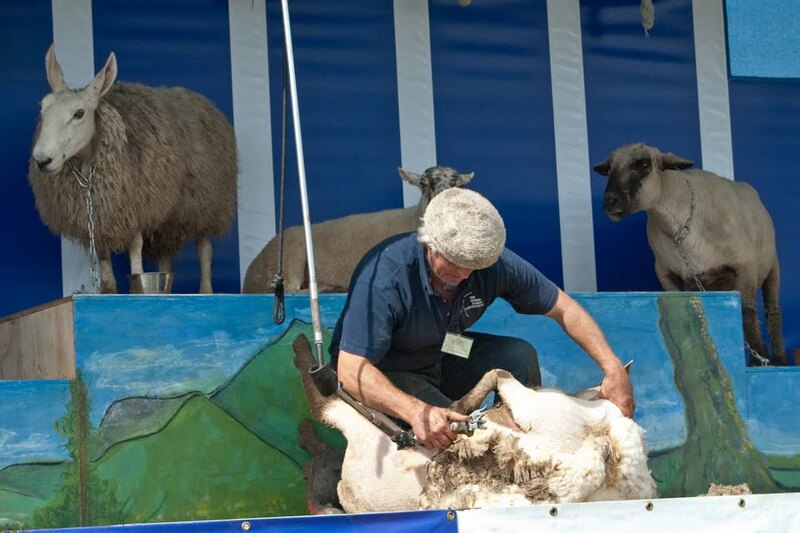 This was the second Fibre East and it has grown; exhibitors ranged from hobby dyers through to larger names such as Ashford. 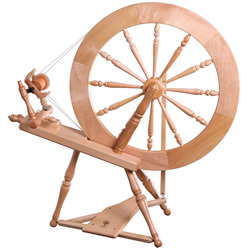 Spinning was well-represented with Schacht, Kromski, Spinolution as well as Ashford wheels on display. One of the marquees was designated the 'have a go' tent, offering rugmaking and felting as well as spinning and knitting. 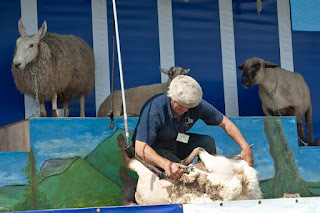 Michael of the Sheer Sheep Experience put on a show which told the story of British wool as well as demonstrating his skills with electric and hand shears. 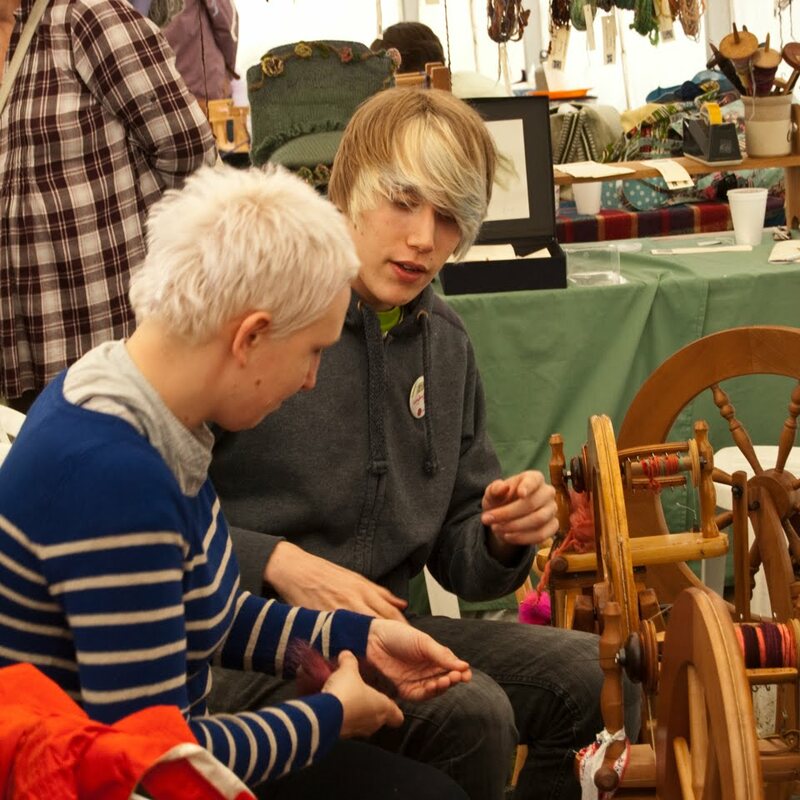 The Woolsack project has had spinners and knitters, crocheters and felters busy making cushions from British wool as a gift for the athletes competing In London this year. 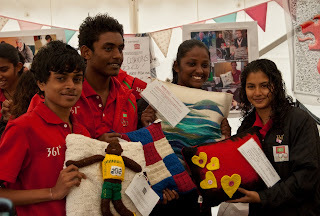 A highlight of the show was seeing a team from the Maldives arriving at the Woolsack stand to choose their cushions.